As if the world needs more proof of how vile the people are who practice Islam, we get report of another attack. At 3:05 p.m. Paris-time, French police warned people to avoid Marseille’s main train station amid reports of a knife attack. The provided no details except to say that an operation was “underway” on the Marseille police’s official Twitter account. French television BFM TV reported at the time that at least one person has been stabbed, and the assailant has been shot dead. The train station was evacuated, and the world waited to hear what the “motivation” for the attack was. Jealous lover? Crazed meth addict? Or perhaps Muslim terrorist committing jihad? A mere 45 minutes later, we learned from French officials that two women were killed in the attack. One of the women had her throat slit. 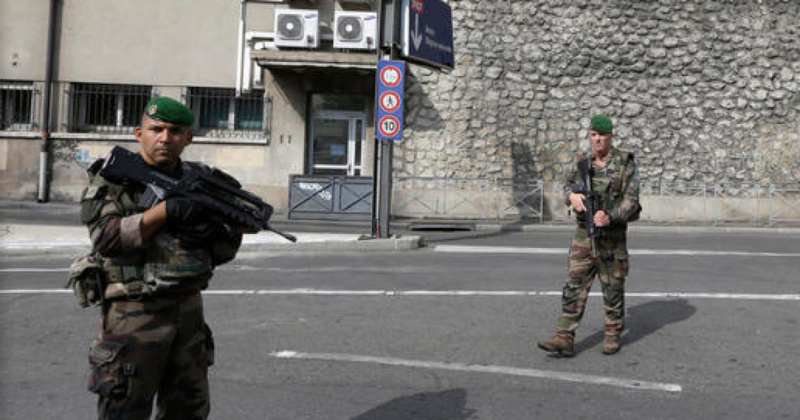 The officials say soldiers then fatally shot the attacker. Police have evacuated the Saint Charles station, with officers and soldiers taking up positions outside. These officials spoke on condition of anonymity because they weren’t authorized to discuss an ongoing investigation. The reason they can’t discuss the investigation is because there is little to investigate. The perpetrator is a Muslim invited to Paris from some God-forsaken armpit of a country, then radicalized. The Paris prosecutors’ office says that a counter-terrorism probe has been opened, but no motive for the attack has been immediately given. This story reminds me of the recent story of the Sudanese refugee who shot up a Christian church in Tennessee. A gunman opened fire at a church in Antioch, Tennessee, on Sunday, killing one person and wounding six others, according to a spokesman for the Metropolitan Nashville Police Department. An eighth victim was “pistol whipped,” police said. Police identified the gunman in a Sunday press conference as 25-year-old Emanuel Kidega Samson. Authorities are still investigating a potential motive for the shooting, said MNPD chief Steve Anderson, but it could have been carried out for “a variety of reasons,” he said. The shooting occurred at the Burnette Chapel Church of Christ in Antioch, a neighborhood in Davidson County governed by Nashville. So a black man goes into a predominantly white church to commit mass murder, and they say it could have been for “a variety of reasons”. Interestingly, there is no mention that the man supported BLM, or that he was a Sudanese refugee. Further, for those who aren’t aware, Sudan is one of the countries President Trump issued to the travel order due to terrorism. Thus, had the judge honored this travel ban, perhaps people at this church would not have been shot or killed. When do the media and other Leftists stop covering up atrocities for the sake of political correctness. Needless to say, lives depend on hearing the truth.